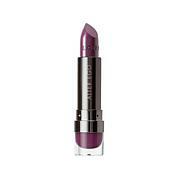 Satin finish lipstick with highly pigmented color and opaque coverage. Ingredients: TRIISOTRIDECYL TRIMELLITATE, ALUMINUM STARCH OCTENYLSUCCINATE, POLYBUTENE, ETHYLHEXYL PALMITATE, ISOPROPYL PALMITATE, SYNTHETIC WAX, CERESIN, BUTYROSPERMUM PARKII (SHEA) OIL, MICROCRYSTALLINE WAX (CERA MICROCRISTALLINA), MICA, STEARYL DIMETHICONE, DIISOSTEARYL MALATE, PHENOXYETHANOL, ETHYL VANILLIN, DIMETHICONE, PEG-8, TOCOPHEROL, HELIANTHUS ANNUUS (SUNFLOWER) SEED OIL, EUTERPE OLERACEA (ACAI) FRUIT OIL, VITIS VINIFERA (GRAPE) SEED OIL,ASCORBYL PALMITATE, ASCORBIC ACID, CITRIC ACID, PUNICA GRANATUM FRUIT EXTRACT, MAY CONTAIN/PEUT CONTENIR: TITANIUM DIOXIDE (CI 77891), IRON OXIDES (CI 77491, 77492, 77499), RED 7 LAKE (CI 15850), RED 30 (CI 73360), RED 40 LAKE (CI 16035). Love this color! The creamiest lipstick...love the feel. It is scrumptious! I love this Lipstick. I love a good lipstick and this one is a really good lipstick. 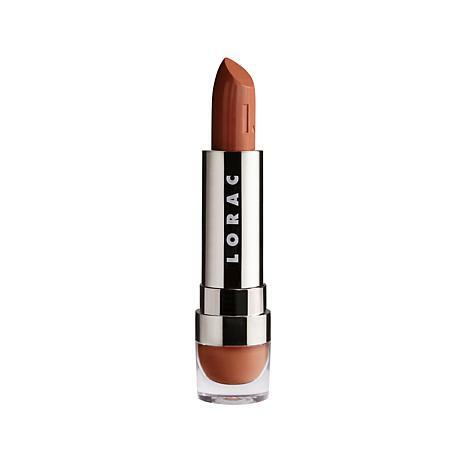 The color is perfect, and the feel of it going on the lips is so nice and smooth. There is no "off" smell to it either. The lipstick stays on for a long time too, which I like. But the best feature of it is that it glides on so smoothly. Great Lipstick!! I will be purchasing it again. 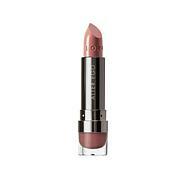 I just love this shade and the feel and look of it on my lips. Stays moist and lasts. I've had people stop and ask me what it is. Lorac satin is wonderful. This lipstick is one of my favorites. It is so pretty...but most of all, I love the creaminess. It stays "put"...The texture is very nice. 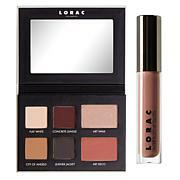 I love Lorac! Very nice lipstick. Color was a little deeper that I expected, but I love the way it looks. Very glad I purchased it.